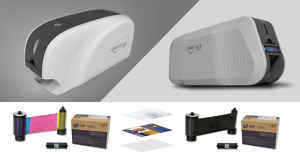 Home » IDSecurityOnline Blog » Card Printers » NEW! 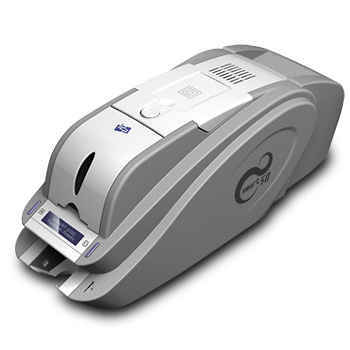 IDP card printers now available! NEW! IDP card printers now available! We are very happy to announce that we are now reselling the line of IDP ID Card printers. 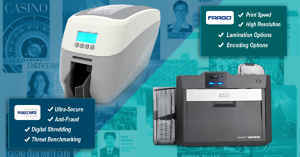 If you are looking for a reliable ID card printer that won't break the bank, look no further! Easy-to-use and affordable, the range of IDP ID card printers will meet all your requirements, whether you need single-sided employee badges or highly secure laminated credentials. Smart-30S: Single-Sided Printer, entry-level printer with optional Ultra Violet Security. 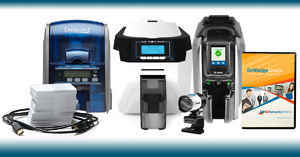 Smart-50S: Single-Sided Printer, high-speed printing for high-output applications. Smart-50D: Dual-Sided Printer, with high-speed printing for demanding applications. Smart-50L: Dual-Sided Laminating Printer, with patented Direct Lamination� Technology for high-security applications. Wise CXD80: Retransfer with optional Laminator, with over-the-edge Retransfer Printing Technology alternative (ABS, PET, etc.) card and high security applications. All IDP ID card printers come with optional advanced functionalities such as Magnetic and Smart card encoding, Ethernet connectivity. Optional UV ribbons are also available for secure badges. 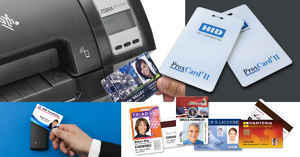 Fast and reliable, IDP card printers are a smart choice to issue professional cards and badges on demand. 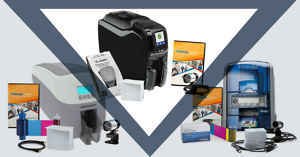 Visit our IDP card printers page now to find out which IDP card printer is right for you.